Beth Haldane, SE21's answer to Miss Marple, worries she is losing a kindred spirit when her friend Jen, the only other single mum in the playground, suddenly gets married and moves to Camberwell. Soon Beth has to face much more pressing fears. Has something gone horribly wrong with Jen's marriage? What is her husband really up to? Why is her daughter leading Beth's son astray? And where on earth IS Jen anyway? 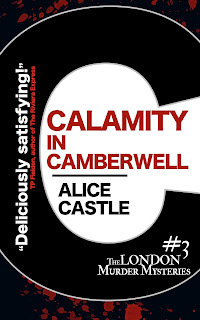 This is the first book that I have had experience with by Alice Castle. 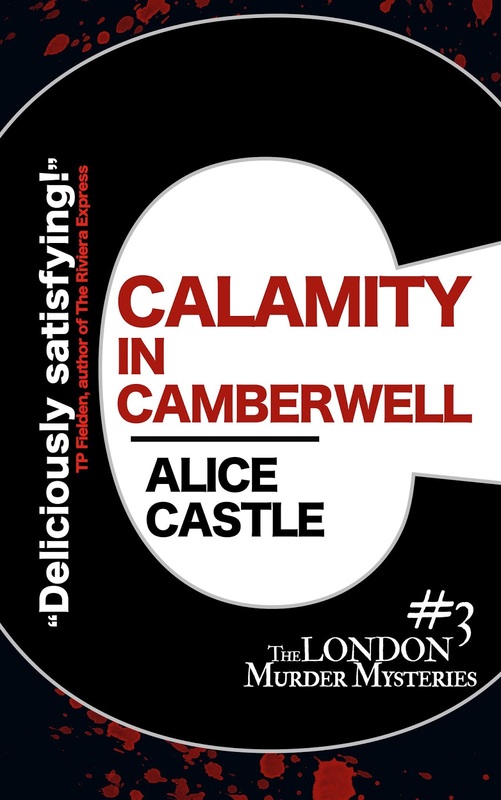 It is the third in her London Murder Mysteries series, and while it can be read without reading the others in the series, I wish I had read the others and gotten to know the main character a little more. This one was a little different than most of the cozy mysteries I read as it dealt with the issue of domestic violence. In this one, Beth's friend Jen has moved to Camberwell and Beth is soon worried about Jen and her marriage. When Jen goes missing, Beth enlists the help of the police and DI Harry York. I thought this was a very well written book. 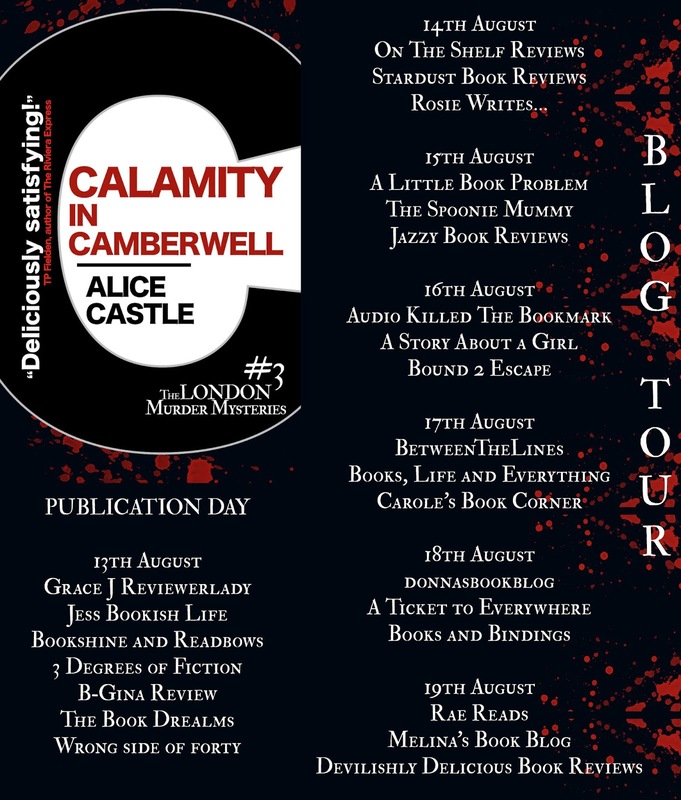 Like I mentioned, it is different that what I usually read but the author did well with the subject matter and the issue of domestic violence and how it affects those who experience and their family and friends. I would love to read the other books in this series as this author is a very good writer and the story flowed well. This is the 8th Key West Food Critics mystery and I have read a couple of the others, but it has been a while. Even though I have not read the all and it has been a while since I read one, I wasn't lost and if a person has not read any of these books before they can pick this one up and not be lost. I enjoyed visiting Hayley Snow again in the beautiful setting of Key West, she is a very well developed character. In this one, Hayley is helping her mother get her catering business off the ground and has been invited to a prestigious conference at the Harry Truman Little White House. But things do not go as planned when Hemingway's Nobel Prize is stolen and a friend is thought to be the thief. When his body is found stabbed, Hayley has to find the killer. This was a good mystery that kept me guessing until the end. The descriptions of the foods in this story was also very enjoyable. I was totally surprised by the ending of this book. 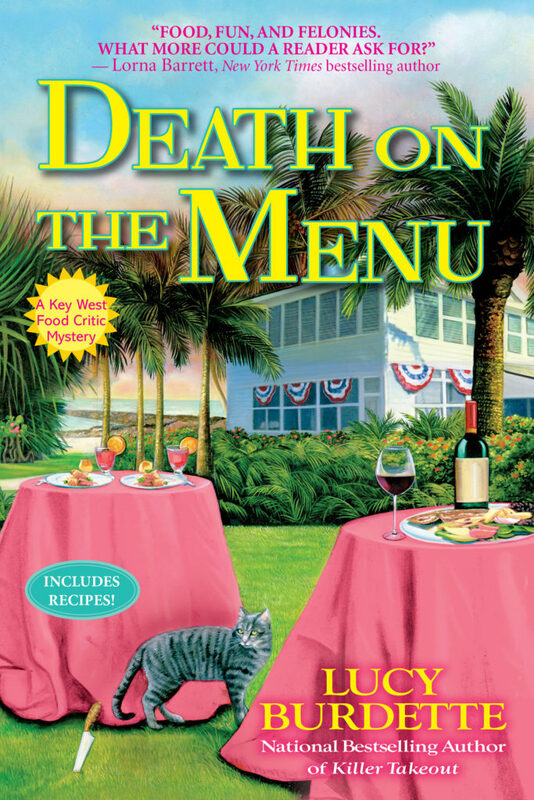 Clinical psychologist Lucy Burdette (aka Roberta Isleib) has published 16 mysteries, including the latest in the Key West food critic series, DEATH ON THE MENU (Crooked Lane Books, August 2018.) 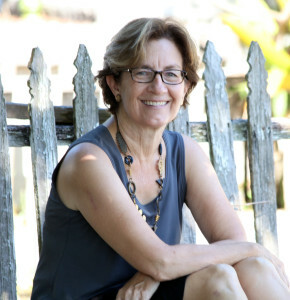 Her books and stories have been short-listed for Agatha, Anthony, and Macavity awards. She's a member of Mystery Writers of America and a past president of Sisters in Crime. 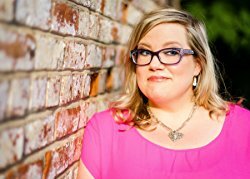 She blogs at Jungle Red Writers and shares her love for food with the culinary writers at Mystery Lovers Kitchen She lives in Madison CT and Key West FL. 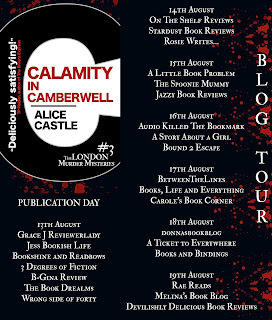 Read more at www.lucyburdette.com. I absolutely loved the first book in this series, and this one was just as good. I love Poppy, she is so relatable to me, as I am in my 40s and also overweight. She is a character that I have come to love. I enjoyed returning to Cape May and visiting with Poppy and Aunt Ginny again, and of course, there is trouble on the horizon again. This time Aunt Ginny is the one accused of murder and Poppy, of course, has to find the real culprit. 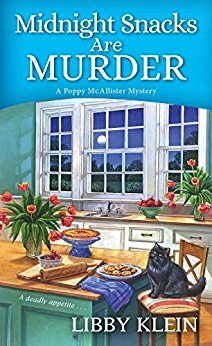 Aunt Ginny is a little eccentric and with her now sleepwalking, and walking off with neighbors knick-knacks, Poppy has her hands full trying to prove that Ginny is innocent of murder. Along with all that, Poppy and Ginny are trying to get their new Bed-and-Breakfast up and running and Poppy is also trying to start her gluten-free baking business. This one was just as laugh-out-loud as the first in the series and was a pure delight for me. The mystery was well thought out and plotted really well, and I was left guessing till the very end. Living with two single ladies is every cat’s dream. You’d think double the back scratches, double the tuna, double the catnip - but you’d be very wrong my friend. What it is, is double the drama. I had it pretty sweet back in Virginia. Poppy was low maintenance as long as we didn’t run out of Haagen-Dazs or Pepperidge Farm. There were plenty of good napping spots. And Georgina hardly ever visited so that kept the number of hairballs down to a minimum. Then one day I was shoved into my prison cell and the torture-mobile brought us to a place Poppy calls “South Jersey.” It smells like pretzels rolled in coconut oil and seagulls here. I don’t like it. Well apparently, we live here now. Either that or we’re being held hostage. I’m not sure, they are very similar. I just know that I’ve been more than fair about the change even though my vote counted for nothing. I did very little complaining when I had to listen to Poppy’s melodramatic ramblings about “killing a cheerleader” and “going to prison.” I’ve tried to make our surroundings more hospitable by carving my familiar artistic flair into each piece. And my very generous contribution of moonlight serenades has gone completely unappreciated. I know that pillow was hurled by you Aunt Ginny! I thought we’d put all that unpleasantness behind us and I was finally settling in when crazy number two started acting up. First Aunt Ginny let a bunch of strangers into my house and they started ripping apart my eating room and my other eating room. We had to take control and give everyone what for. Aunt Ginny and I disagreed about tactics, I felt we should hide the valuables like the can opener, but she insisted on splitting hairs over less important things that had nothing to do with eating. Like “don’t smash that family heirloom!” and “stop scratching my credenza, it’s an antique!” and other such nonsense. At least we were a united front against a common enemy, the little hairless man. Every time I turned around, he’d track his saw-dusty paw prints into my napping place or leave one of his smelly tools in my other napping place. Enough was enough. A cat can only take so much. Just as I was about to suggest a conflab with Aunt Ginny, I catch her flopping down in front of the door in my loitering room. We get it. You want to be friends. Don’t be so dramatic about it! Poppy rather overreacted, like she does, and Aunt Ginny was forced into the torture-mobile. They didn’t return for hours. I knew I was going to have a tough time calming them both down that night. I had to go from one lap to the other through half of Wheel and two episodes of Matlock. I like him. I bet he’s a cat person. Things eventually settled down to a reasonable purr and life got back to normal. If your idea of normal is someone breaking into the neighborhood houses and stealing their most precious possessions. I told Aunt Ginny we needed to hide the can opener! If this so called “Snack Bandit” breaks in here and steals my can of Caribbean Beach Friskies I might just lose one of my lives.